Ruby Kumar-Thompson specializes in employment discrimination and civil rights litigation as a Partner in the Litigation Section of the law firm of Cleary Giacobbe Alfieri Jacobs, LLC. She is a graduate of Emory University School of Law and is admitted to practice in the State of New Jersey, the United States District Court for the State of New Jersey, and the Third Circuit. She has dedicated the majority of her legal career to representing public entities, most notably municipalities and school districts located throughout New Jersey. Since early 2006, Ms. Kumar-Thompson has obtained numerous dismissals in both state and federal courts on behalf of her public entity clients with respect to claims brought for sexual harassment, wrongful termination, discrimination in promotions and/or hiring, pregnancy discrimination, religious discrimination, retaliation, search and seizure, free speech, retaliation, as well as other types of claims brought under the New Jersey Law Against Discrimination (“LAD”), Conscientious Employee Protection Act (“CEPA”), New Jersey Civil Rights Act, Title VII, Americans with Disabilities Act (“ADA”), the Rehabilitation Act, Religious Land Use and Institutionalized Persons Act (“RLUIPA”), The Family Medical Leave Act (“FMLA”), 42 U.S.C. 1983, and in a variety of other civil rights litigation. She also has attended over 200 mediation sessions and has been an integral part in negotiating numerous settlements designed to save her clients thousands of dollars in attorney’s fees and litigation costs. 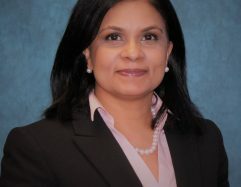 In addition to litigating matters, Ms. Kumar-Thompson also has conducted several efficient and thorough workplace investigations, and has provided labor advice to schools and police departments with respect to disability leaves and reasonable accommodations required by Title VII, the Law Against Discrimination and/or the Americans with Disabilities Act. She also has extensive experience with police disciplinary matters, civil service, administrative law, and in appellate practice. Notable cases that Ms. Kumar-Thompson has briefed and successfully argued in the New Jersey Appellate Division include: Mary Borrello, et al. v. City of Elizabeth Board of Education, Docket No. A-3151-14T4 (August 16, 2016); Bustamante v. Borough of Paramus, et. al., 413 N.J. Super. 276 (2010); Groslinger v. Township of Wyckoff, Docket No. A-5861-07T2, certif. denied, 201 N.J. 497 (2010); and Whesper v. Police Officer Tulli, et al., Docket No. A-2913-06T2, certif. denied, 195 N.J. 520 (2009). On October 18, 2018, Ms. Kumar-Thompson was honored to be selected as a panel participant at a New Jersey Bar Association event co-sponsored by the Mediation and Employment Law sections to speak on the topic of Dynamics of an Employment Mediation,” particularly on the topic of how to evaluate damages in an employment discrimination case.